All New Spacious Garden Homes in Palm Lakes. The Garden Home Section consist of 70 Units with Tree and Pond Views. 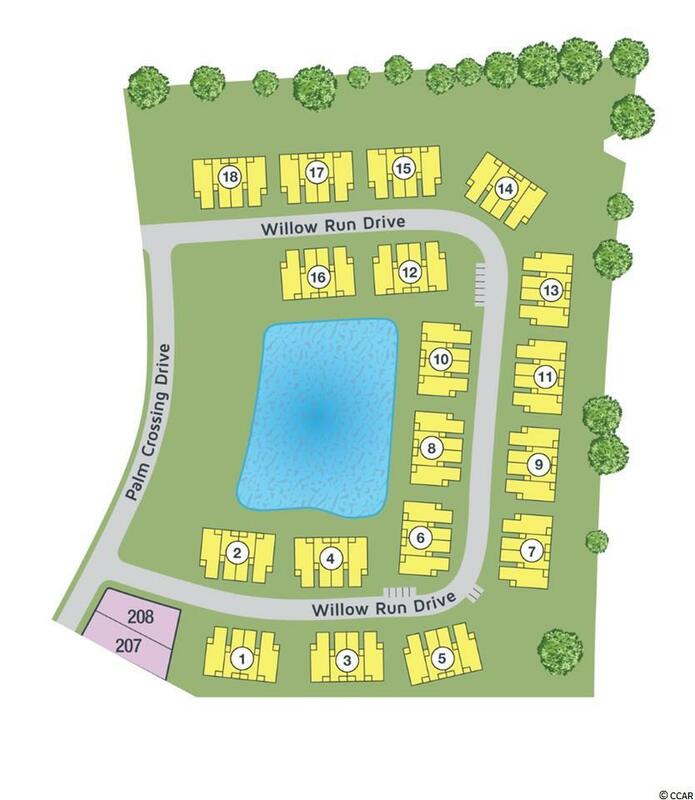 There are 4 Units per Building which are made up of 2 Exterior Wando Plans starting at 1700 Htd. Sq. Ft. and 2 Interior Edisto Plans starting at 1500 Htd. Sq. Ft. All Units offer Natural Gas Heat, Hot Water, Ranges and Optional Gas Fireplaces. This unit is the "Edisto" plan. It has Tree View and many features. Palm Lakes also has a Wonderful Amenity Area with Pool, Club House, Work-Out Room, Playground, Horseshoe Pit and is just 10 Minutes to Beach. Come Out and Visit Our Model.